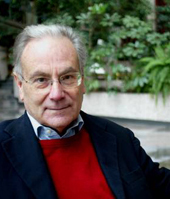 Joan Martinez-Alier has been since 1975 Professor in the Department of Economics and Economic History in the Universitat Autònoma de Barcelona in Spain. Over the last quarter of a century he has become recognized as Europe’s foremost student and spokesman of the new field of “ecological economics.” In 1987 he joined with international colleagues from around the world and became a founding member of the International Society for Ecological Economics. Professor Martinez-Alier has had extensive international experience in a wide variety of educational institutions around the world. He was a Research Fellow at St. Antony’s College, Oxford University from 1966 to 1973 and again a visiting scholar there in 1984-85. In addition he held visiting appointments at the Free University of Berlin (1980-81), Stanford University, the University of California, Davis (1988-89) and FLACSO in Quito (1994-95). During 1999-2000 Professor Martinez-Alier was a Fellow in the Program in Agrarian Studies at Yale University in New Haven. From 1990 onwards Professor Martinez-Alier served as the Editor of the journal, Ecologia Politica (Barcelona). His publications are numerous and in English include: Labourers and Landowners in Southern Spain (London, 1971), Haciendas, Plantations and Collective Farms (Cuba and Peru) (London 1977), Ecological economics: energy, environment and society (Oxford, 1987), with Ramachandra Guha — India’s leading environmental historian, Varieties of environmentalism: Essays North and South. (London, 1997) (See Absract and Summary of this important work) and The Environmentalism of the Poor: A Study of Ecological Conflicts and Valuation (October 2003). In addition, Professor Martinez-Alier is the author of the article on Ecological Economics in the the International Encyclopedia of the Social and Behavioral Sciences. Professor Martinez-Alier’s research interests and professional focus has been upon the fields of agrarian studies, ecological economics and political ecology. In Europe he has been involved in a two-year international collaborative examination of environmental standards known as the Environmental Valuation in Europe (EVE) project, funded by the European Commission. In addition to his professional research in European and industrialized areas, Professor Martinez-Alier has been concerned with exploring the implications of ecological economics for the developing countries as well. 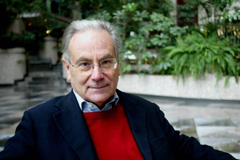 From 1991 to 1996 he contributed to the design and production of a series of four videos dealing with the theory and practical application of the concepts of ecological economics in development strategies. These videos form a series presented by Griesinger Films and they include: An Introduction to Ecological Economics, Investing In Natural Capital, Conversation for a Sustainable Society and Costa Rica Counts the Future. 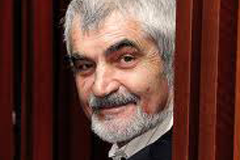 He is among the founders and a former president of the International Society for Ecological Economics. His current research focusses on ecological economics and languages of valuation, political ecology, environmental justice and the environmentalism of the poor. Full CV of Joan Martinez-Allier can be downloaded here. 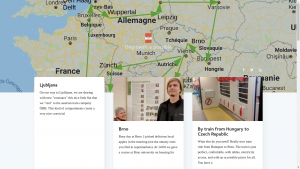 New Research&Degrowth Call for Volunteers!